It's a fact of life that fabrics and materials trap dirt and smells. Thankfully these problems can easily be remedied us. With a wealth of experience and using only the finest methods, we're experts in stain elimination, carpet cleaning and upholstery cleaning. As a local firm, serving Alwoodley, Shadwell and Moortown, we can be with you swiftly, leaving your carpets ready to walk on in just 2 hours. Our industry-leading apparatus leaves spotless, stain-free carpets that smell as unspoiled as the moment they were laid. Our techniques are certain to leave you delighted and they're child- and pet-safe too. 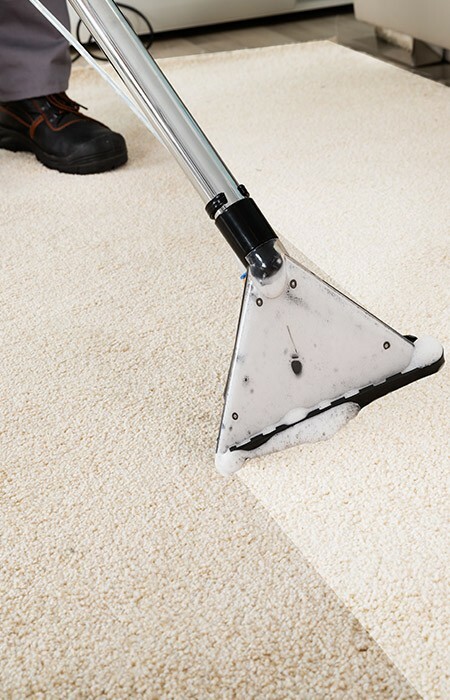 Floors are not the only thing we enhance: we will clean and stainguard your upholstered furniture and rugs. Our all-in-one service means we'll stain-guard and clean your leather furniture as well, giving it a new lease of life. Call us today and receive your free estimate over the phone. If you'd like us to come to you, we'd be happy to arrange an on-site fixed price quote by appointment. We're sure you'll love our prices, but you can rest assured that all our quotes come with no obligation for you. Find out more by calling the carpet cleaning experts on 0113 370 9094.